1959 Costin Lister Race Car by Resilient Resins. 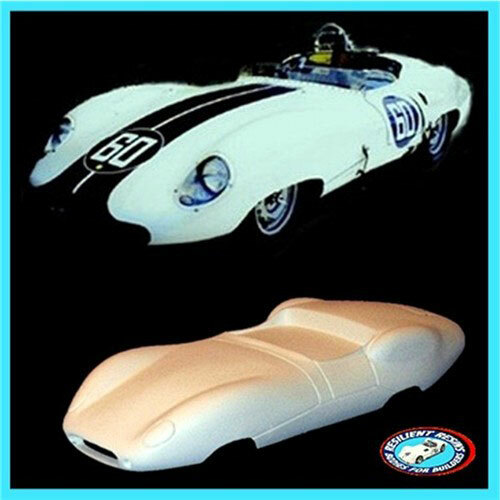 Originally cast as a slot car body, these were very popular because of the diverse subjects that were not available in any other kit form. They are included here since they were the popular 1/25 scale, and with some serious work, might have been adaptable to a scale model (even if it might be a curbside). They are part of our resin car history.